Each varietal honey is as unique as its floral source, and this distinction and quality is harvested by Black Hills Honey Farm. Gathered in select years in the Black Hills of South Dakota and available in sizes that are convenient for you. Order your raw honey today and discover just how good real honey can be! Twelve pounds of raw varietal honey from Black Hills Honey Farm, hand-bottled in a convenient wide-mouth glass jar. 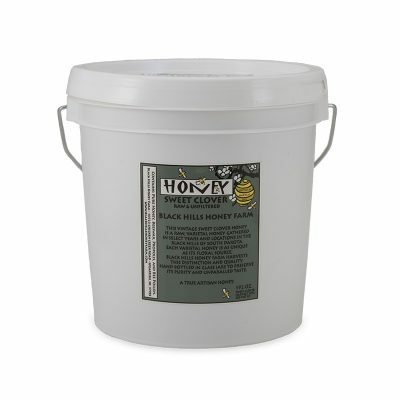 Twelve pounds of raw varietal honey from Black Hills Honey Farm, hand-bottled in a convenient wide-mouth plastic pail. Three pounds of raw varietal honey from Black Hills Honey Farm, hand-bottled in a convenient wide-mouth glass jar. 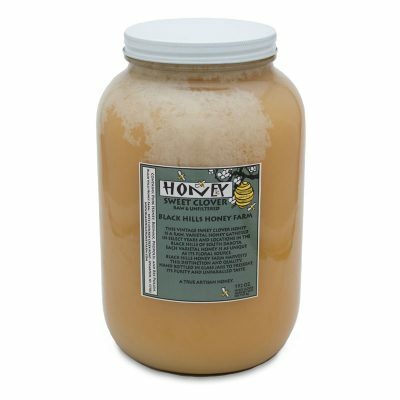 Twenty-four ounces of raw varietal honey from Black Hills Honey Farm, hand-bottled in a convenient wide-mouth glass jar. 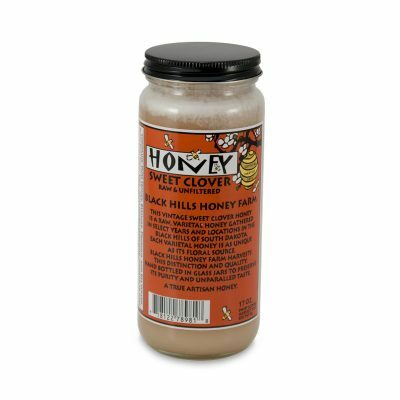 Seventeen ounces of raw varietal honey from Black Hills Honey Farm, hand-bottled in a convenient wide-mouth glass jar. 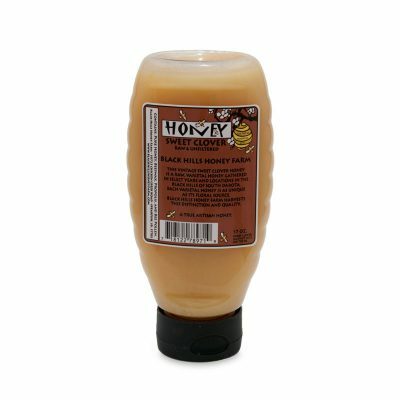 Seventeen ounces of raw varietal honey from Black Hills Honey Farm, hand-bottled in a convenient squeezable plastic bottle. 13.5 ounces of raw varietal honey from Black Hills Honey Farm, hand-bottled in a convenient wide-mouth glass jar. 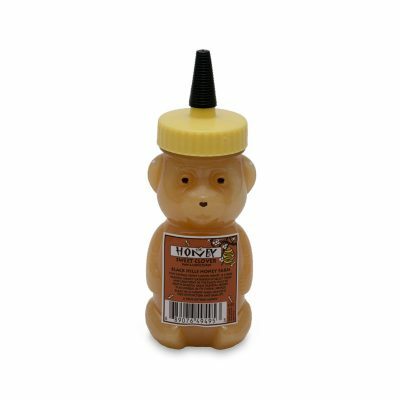 Six ounces of raw varietal honey from Black Hills Honey Farm, hand-bottled in a convenient squeezable plastic honey bear – perfect for kids! Great for kids! 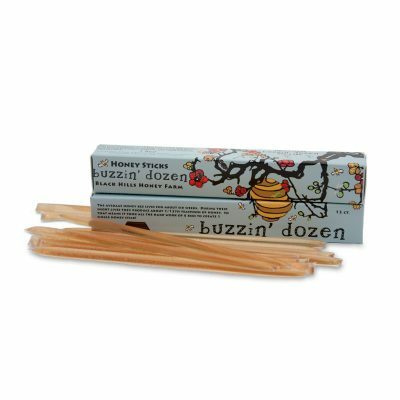 The Buzzin’ Dozen are twelve honey sticks of raw varietal honey from Black Hills Honey Farm, in convenient single-serving plastic tubes. Buy in bulk and save! 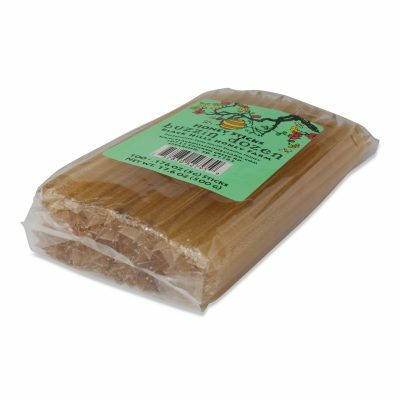 The Buzzin' Dozen Honey Sticks – 100 pack are one hundred honey sticks of raw varietal honey from Black Hills Honey Farm, in convenient single-serving plastic tubes that are great for kids!